Tom Hoehn is a native of St. Joseph, Missouri where he began playing the organ at an early age and playing in church at age twelve. Tom studied classical and popular organ through high school and college. 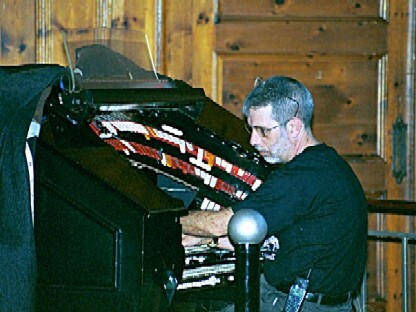 He moved to Florida in 1974 and has been active in the church and theatre organ fields since his arrival. He has appeared as the organist for the Florida State Fair, Tampa Bay Rowdies Soccer Club, and Boston Red Sox Spring Training in Winter Haven, Florida. He was one of the original four organists at J. Burns' Pizza & Pipes in Tampa, Florida along with Don Baker. During this time Tom studied with the former New York Paramount organist. In 1981, Tom moved to the new J. Burns' Pizza & Pipes in Winter Haven, Florida and remained there for four years. 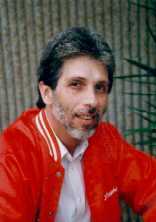 Tom was the charter-signing secretary for the Central Florida Chapter of the American Theatre Organ Society (CFTOS) in 1978. Tom currently holds membership in 4 different chapters of the American Theare Organ Society (Central Florida, Manasota, Orlando Area, Hilo Bay). In June, Tom Performed at the York Theatre in Elmhurst, Illinois and played at the Tivoli Theatre in Downers Grove, Illinois. He also travelled to Mundelein, Illinois and played the 4/19 Howell/Wurlitzer at University of St. Mary-on-the-Lakein the the George Cardinal Mundelein Auditorium. 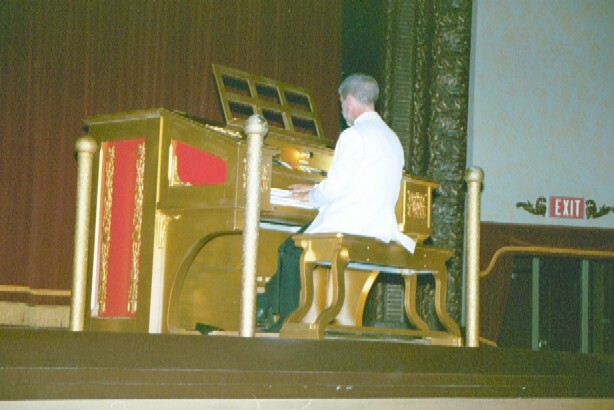 The console for this organ was originally installed in the Chicago Theatre in Chicago, Illinois and was played by the legendary Jesse Crawford. Tom performs for area and regional organ clubs throughout the state of Florida. His concerts consist of a mix of show tunes, standards, and semi-classical music. He enjoys playing medleys of Broadway and movie musicals, novelty numbers, classical selections and hymn tunes. Many times during a performance he will turn around to the audience and ask for requests. After getting three or four of them he will proceed to weave them into a medley of from five to eight to ten minutes in length; the audiences very seldom "Stump the Organist". He has also played for pre-shows at the Tampa Theatre in Tampa, Florida on the 3/14 Wurlitzer Theatre Pipe Organ on Saturday afternoons and evenings, rising up on the lift out of the stage floor. Currently, Tom makes his living working for End User Support at the IBM Helpdesk Services located in Tampa, Forida where he works the overnight shift as lead technical representative offering telephone technical support to over 28,000 accountants around the world. Tom is also the organist at First United Methodist Church in Clearwater, Florida where he plays for three services every Sunday. He also rings in the handbell choir at the church.